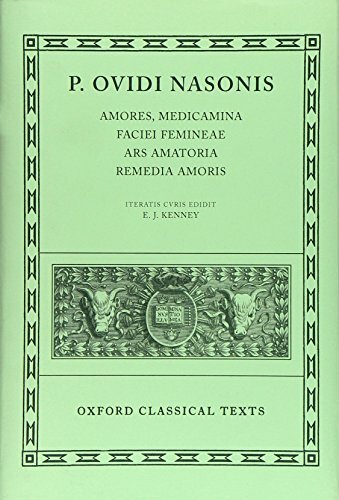 Since it first appeared in 1961 this has been the standard critical edition of Ovid's love poems. For this new edition the text has been thoroughly revised to take account of published scholarship and the further thoughts of the editor. Conjectures have been admitted to both text and apparatus criticus more freely than in the first edition. Punctuation has been improved, spelling has been normalized, and the long poems have been paragraphed. The apparatus criticus now incorporates the reading of the important Berlin manuscript Hamilton 471; it has also been streamlined by the omission of explanatory material more conveniently accessible in commentaries.